Anything but boring, this is a righteous chicken recipe with a sweet and tangy marinade that can just as easily be used for pork or beef. (It’s a great one for grilled skewers!) 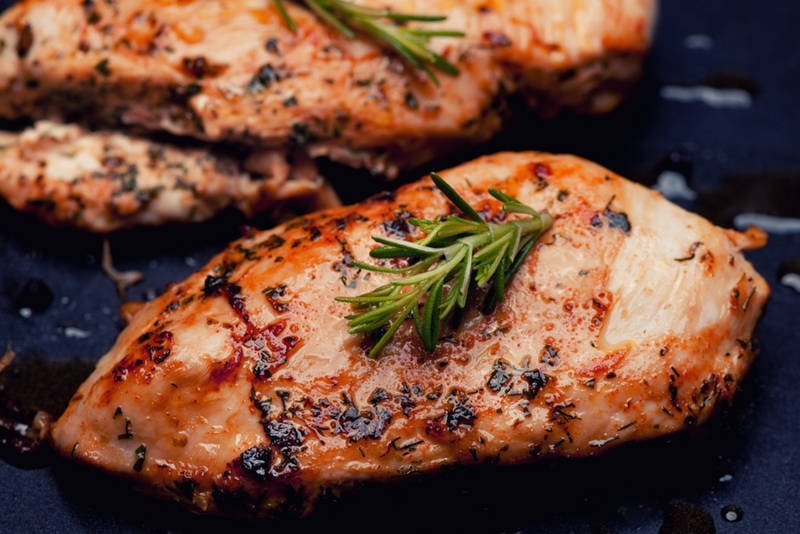 Although extremely quick to whip up, the longer you let your meat marinade the more intense the flavors will be – so if you have the patience, we highly recommend letting your chicken breasts bathe in the fridge overnight. We promise it’ll be worth the wait! We love this chicken with creamy polenta, buttery pasta or potato salad and it’s an excellent choice for something a little different to bring to the next barbecue or potluck – it gets gobbled up in the blink of an eye! Make the marinade by whisking together garlic, balsamic vinegar, olive oil, soy sauce, brown sugar, thyme, rosemary and black pepper in a medium bowl. Pour into a large ziplock bag. Pat chicken breasts dry and add to bag, making sure each breast is well coated. Refrigerate for 1 hour to overnight. Preheat oven to 350º F, or preheat grill to medium heat (same as oven temperature), and line a 9x13 inch baking sheet with foil. Transfer chicken breasts to baking pan or preheated grill and discard ziplock bag with the marinade inside. Cook 3-4 minutes on each side, or until breasts form a slight crust. When done, transfer chicken to a serving platter and let rest 5-10 minutes before serving.